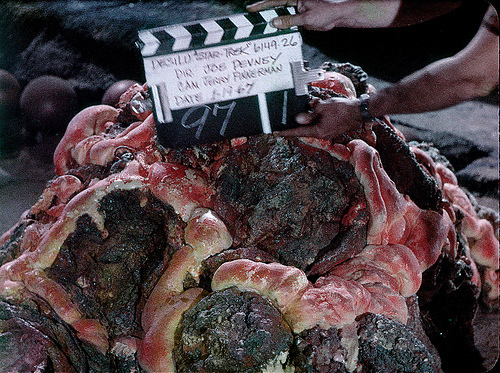 This episode originally aired during Season One on Thursday, March 9, 1967.
from the planet outpost Janus VI in a desperate attempt to stem the harassment of their important mining operation by Horta, a strange and apparently indestructible life-form. 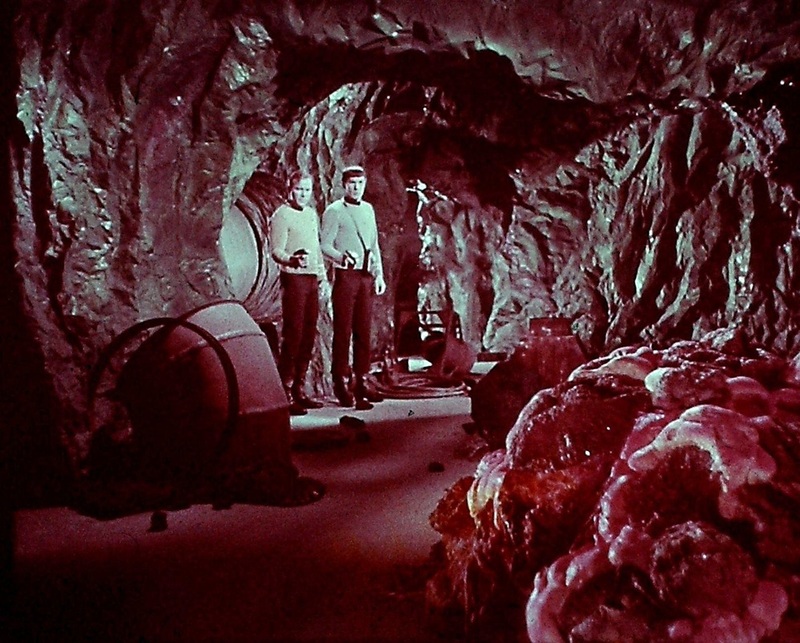 While tracking Horta through a maze of subterranean shafts, the men are isolated during a cave-in and Kirk finds himself face-to-face with the creature. “The Devil in the Dark” came about as a result of a Hungarian immigrant turned Hollywood stuntman who began his career dressed as apes in the circus. Janos “James” Prohaska had an arrangement with Star Trek -- if he came up with a creature the producers liked, they would not only rent it from him but would also pay him to be the man inside the horrible thing. Principal photography began on Monday, January 16, 1967, the day after the first Super Bowl, where the Green Bay Packers, led by quarterback Bart Starr, beat the Kansas City Chiefs, 35-10. On the third day of production, Shatner got a call from his mother in Florida that his father had passed away suddenly. Always the professional, Shatner insisted on finishing the day’s work, though he was admittedly emotionally shaky throughout the scenes. Just as Kirk only confided his feelings to McCoy, or Spock, and kept his inner torment hidden from the crew, Shatner chose not to discuss his sadness with many on the set. Kirk would stay strong in front of his crew, and Shatner did the same in front of his. These Are the Voyages – TOS: Season One.